teachers can set up motivational scenarios for students with set roles for them to play, such as telling them "you are a famous seismologist" or "you are a travel guide to a region where there are often earthquakes". Motivating students through role-playing will engage and excite them. The goal of this earthquake webquest is for students to learn about earthquakes. Teachers can write the word "earthquake" on the board and ask students to brainstorm ideas and words that are related. This will help students come up with ideas for questions that can be used to search for information online about earthquakes. It also involves students and allows them to set questions they are interested in answering. 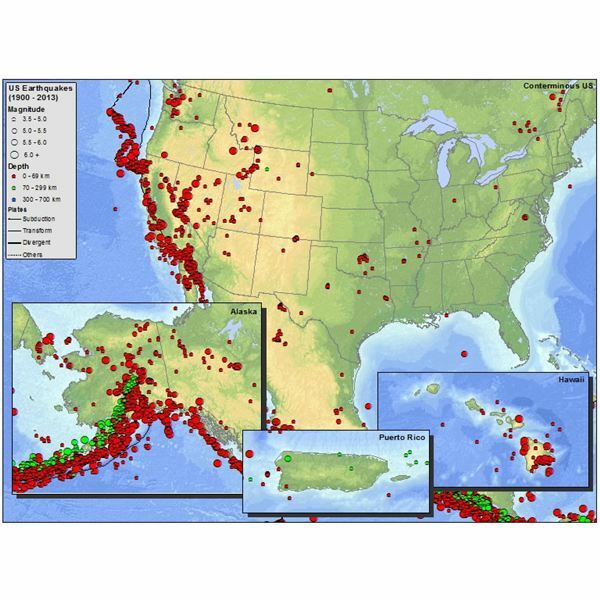 Where are the most frequent earthquakes? What is the biggest earthquake ever to be monitored? Do earthquakes occur in our country? Can we prepare for an earthquake? How can we keep safe during an earthquake? Where in the world was the last earthquake? Would you live in a country where there are frequent earthquakes and why? USGS: Science for a Changing World: USGS is a useful site for children divided up into categories like Cool Earthquake Facts, Ask a Geologist and Earthquake pictures going as far back as 1906. There are also puzzles, games, learning links and earthquake activities making it easy to plan lessons around this theme long after the webquest has been finished. ABAG Earthquake Info Kid's Zone: ABAG answers a lot of the set questions. It also has wordsearch games and quizzes that teachers can use to keep students who have finished their webquest busy while others work. National Geographic: This is a comprehensive site with articles on earthquake safety tips and earthquake readiness plans. Children love to share a project they have worked hard on. If each group has been given a different role at the beginning of the webquest, such as seismologist, geologist, travel guide or reporter they can dress up in their role and present their project to the class. Props can be as simple as a notepad and magnifying glass for a geologist, a microphone for a reporter or a backpack for a travel guide. Each group can present answers to a few questions, instead of presenting all of them, so that children can compare their answers with others and still have something original to present when their group takes the stage. Answers to the earthquake webquest questions can be voted for being correct and for being presented in an interesting manner. For more information on webquests, see this Teacher's Guide to Using Webquests at School.